So you may not actually be a marathon runner, or even a runner at all (except when you find out there’s donuts in the break room), but that’s okay! 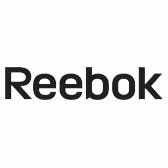 Reebok simply uses the same technology they have perfected for their athletic shoes and applied it to these work ... (see full details) (see specifications) #RB3502. So you may not actually be a marathon runner, or even a runner at all (except when you find out there’s donuts in the break room), but that’s okay! Reebok simply uses the same technology they have perfected for their athletic shoes and applied it to these work shoes. Keeping it as lightweight as possible and utilizing rebounding foam to really add a spring to your step, these Reebok Guide Performance Cross Trainer Steel Toe EH Slip-Resistant RB3502 Men’s Navy Blue Athletic Shoes by none other than Reebok look good and feel great all day on the job. With steel toes and other safety features built right in, they’re ready for industrial jobs of any kind while the athletic features of the men's shoes are designed to keep you comfortable all day long. Their ASTM F2413-approved steel toe caps protect your feet from impact and compression, while the EH, or electrical hazard, protection also provides safety in certain electrical environments. You may not be running 26 miles (or even 1), but you can benefit from the technology used in running shoes during your marathon shift. These blue leather Performance Cross Trainer shoes are made for exactly that. Whether you walk a lot on your job or tend to stand in one place for long periods of time, these lightweight athletic performance shoes are made just for you. The flexible leather uppers are made with industrial strength to withstand the typical hazards of an industrial or factory job. The wraparound external TPU heel counters provide an improved fit and torsional rigidity at the heel strikes for better stability as you move. The low-cut design gives you the maximum freedom of motion at your ankle and quicker heel-to-toe transitions during your day. For the most safety in your day, there's no exposed metal on the uppers of these low cut work shoes. Inside, the performance technology of running shoes keep things lightweight and working for your, not against you. Moisture-wicking performance mesh linings draw sweat away from your feet and push it out of the Reebok shoes for drier and cooler feet all day long. The MemoryTech removable footbeds mold to your feet with each step, providing customized support and comfort in a long-lasting foam. Reebok’s own R52 rebounding foam midsoles that are used in their famous running shoes are also utilized here; designed to absorb the shock of impact between your feet and the floor for less foot stress and pain and return that energy to help spring your feet forward, requiring less energy from you to lift your feet leading to more stamina in your day. The slip-resistant rubber outsoles on these athletic steel toe shoes are best for slip and abrasion resistance. Made for industrial or factory environments, these light and flexible outsoles are strong enough to survive the type of environment you work in. With better chemical and oil resistance, these grip-infused outsoles are made to keep you moving and are so flexible they provide 12.9-degrees of flex at the 70% point from heel-to-toe. Basically, that means if you tend to crouch or kneel on your job, these safety toe slip-resistant shoes move with you. The ASTM F2413-approved steel toe caps protect your feet from impact and compression, while the EH, or electrical hazard, protection also provides safety in certain electrical environments, just in case. Don’t be fooled by the name; anyone can benefit from the lightweight comfort and performance features of these Reebok Guide Performance Cross Trainer Steel Toe EH Slip Resistant RB3502 Men’s Navy Blue Athletic Shoes from Working Person's Store. Very comfortable and worth every penny. Only situation I had was one shoe was hurting my big toe. After a couple of days the shoe adjusted to my feet. Memory foam makes my feet feel so much better after a long work day. Reebok Shoes: Men's Navy Blue RB3502 EH Steel Toe Grey Guide Performance Cross Trainers is being added to your cart.